The Danish Swimming Federation has officially announced the 15 member team that will be representing the nation at the 2016 Olympic Games in Rio. That is an increase in team size from the 2012 Olympic team, which was comprised of 10 athletes, five men and five women. There will be eight members of the 2012 team returning to represent Denmark in Rio, which includes 2015 World Championship medalists Jeanette Ottesen, Rikke Moller Pedersen and Mie Nielsen. The other five returning members are 2013 World Championship medalist Lotte Friis, Pernille Blume, Mads Glaesner, Anders Lie Nielsen and Pal Joensen. The rookies on the team will be 2014 European Championships gold medalist Viktor Bromer, Anton Ørskov, Daniel Skaaning, Søren Dahl, Magnus Westermann, Sarah Bridge and Julie Kepp Jensen. After having great success at the 2011 World Championships with Friis winning the 1500 and finishing second in the 800 freestyle along with Ottesen tying for the win in the 100 freestyle the Danes had a disappointing Olympic campaign in London finishing without a medal. 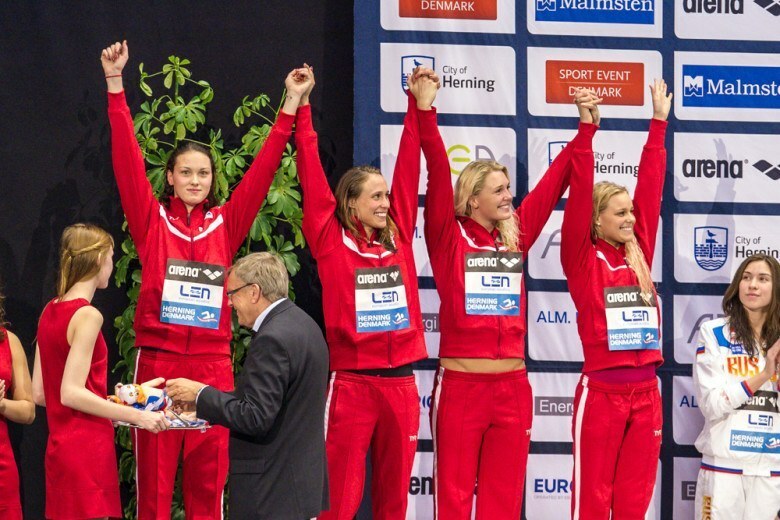 Denmark currently has three swimmers ranked in the world’s top 10. Nielsen sits second in the 100 backstroke Ottesen is ranked third in both the 50 and 100 butterfly while Pedersen is placed fourth in the 200 breaststroke. The coaching staff will include Nick Juba (Head Coach), Stefan Hansen, Eyleifur Jóhannesson and Shannon Rollason. We will be here cheering for you! Welcome to Rio!